Between the benefits, the constraints, and the price of Apple's top "Pro"-level machines, the MacBook Pro gives the iMac Pro a a solid fight for the crown of Apple's best machine. 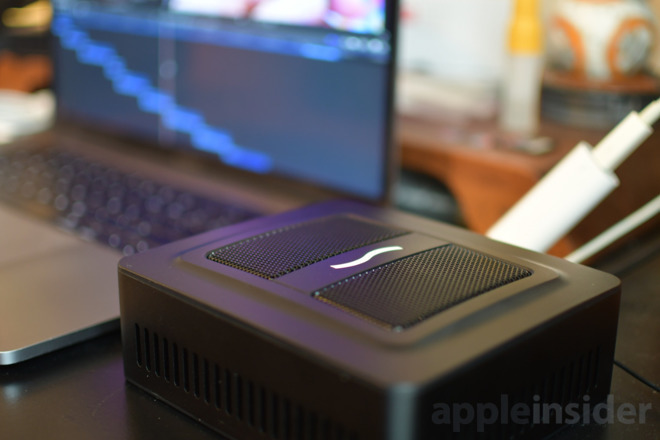 AppleInsider looks at how close the battle is — and how an eGPU could be the deciding factor. It's been a long time since Steve Jobs outlined Apple's plan to have clear differences between its portables and desktops, plus its consumer and its professional users. Even so, at first glance a professional user with a demanding job is likely to ignore a MacBook Pro and presume the iMac Pro is needed. 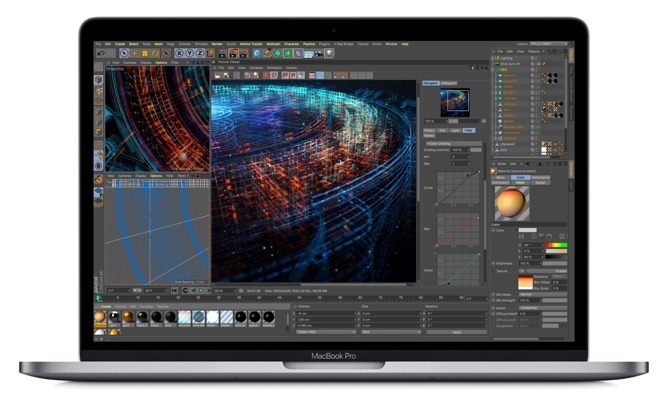 However, this month's new MacBook Pro releases bring enough power and performance to the MacBook Pro that you can no longer make that presumption. Add in the benefit of an eGPU and you do bump up the price of the portable but you also make it even closer to the performance of an iMac Pro. Pricing is important, but it's not everything. If you save two thousand bucks by buying an MacBook Pro instead of an iMac Pro but it doesn't do the job you need, you might as well have spent the cash on a Windows PC instead. Equally, if you spend around $13,000 on a top-range 18-core iMac Pro, it's not going to do you much good if you need to work while on an aircraft. There are always going to be specific use cases that make the decision over what's the best machine for you. It's in the in-between spaces where the new MacBook Pro is disrupting things. Let's try to compare as much like for like as possible. Take the new 15-inch MacBook Pro and configure it with the 6-core Intel Core i9. If you make it the 1TB SSD storage and 32GB with the Vega 64, the maximum RAM possible, then today you're spending $3,899.00. You do get a free color-coordinating Lightning charging cable, mind. There is no 6-core iMac Pro so the closest for comparison is the 8-core. With 1TB SSD storage and 32GB RAM, the retail cost for that is $5,599.00 (or $5,249.00 with coupon code APINSIDER). There is a difference in the speed of the processor, though. The iMac Pro's slowest 8-core runs at 3.2GHz compared to the MacBook Pro's Intel Core i9 at 2.9GHz. However, both machines can turbo boost up to a higher clock rate and there the difference swaps around. The iMac Pro in this base configuration will go up to 4.2GHz, and MacBook Pro will reach 4.8GHz. Then, compare benchmarks for both machines. 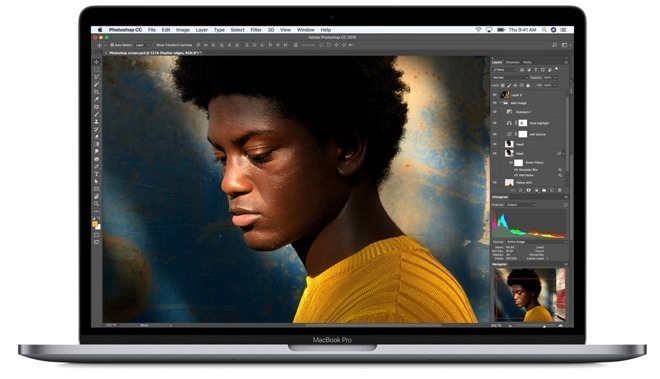 Geekbench gives the new 15-inch MacBook Pro a score of 5,306 for single-core operations and 22,555 for multi-core. The iMac Pro effortlessly beats that multi-core figure with Geekbench scoring it 30,541. However, the iMac Pro is actually behind the new MacBook Pro for single-core work, getting a score of 5,009. There's no set or easy way to determine whether it's the single- or the multi-core figure that will be the most important to you. Very broadly, though, you can expect that if you're doing video editing you really need multi-core and that if you're just writing a lot in Word, single-core wins. Video editors, though, need great and big screens, so that's where the iMac Pro wins on its own. Our baseline iMac Pro comes with a 27-inch monitor capable of displaying 1 billion colors at 500 nits brightness. You might guess what size screen the 15-inch MacBook Pro has but you'd be slightly wrong: it's actually 15.4 inches. It too has 500 nits brightness but the MacBook display is 2,880 x 1,800 pixels, where the iMac Pro gives you 5,120 x 2,880 pixels. Then, too, there's the question of the video card that runs these displays: both machines use Radeon Pro Vega but the iMac Pro we're comparing has the Vega 56 with 8GB of HBM2 RAM. 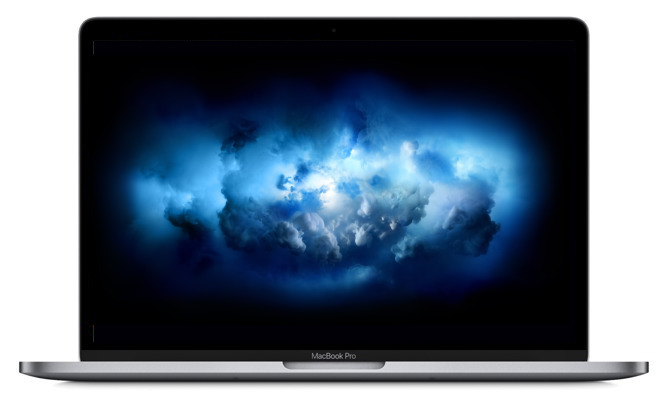 The MacBook Pro has a Radeon Pro 560X with 4GB of GDDR5 memory. 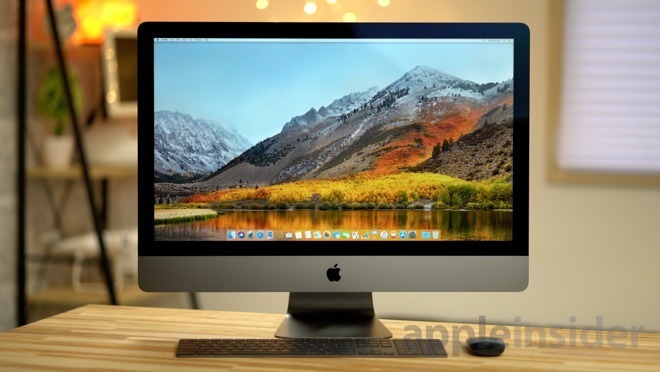 That's a clear win for the iMac Pro as it stands alone. If the display were the only factor then it might very well be worth your spending the extra $1,700 to get the desktop. Only, if you budget to buy an eGPU for that MacBook Pro, there are a few options. Sure, there's the quiet Blackmagic one announced alongside the MacBook Pro, but you have other choices. For $1,900, you can add the LG 5K display, and the Blackmagic eGPU. But, there are better, faster, options. For between $299 and $499 for an enclosure from Razer, Mantiz, Sonnet, and more, you can get an unit that will take compatible PCI-E cards. Delving into what cards can be used with and without hacks is beyond the scope of this article, but we've talked about it before, and we'll talk about it again. Without delving deeply into the minutae, a third-party Radeon Vega 64 card can be added to whatever enclosure you pick for less than $600. If you wanted to go a little cheaper, the PCI-E version of the Vega 56 is close to the performance of the Vega 64 integral to the iMac Pro for $100 less. So, let's say $900 for an eGPU enclosure and an equivalent card. That gives you $800 to spend on whatever HDMI or DisplayPort monitor you want to connect to the eGPU at home. Plus, if you buy right, you'll get Ethernet and USB-A on the enclosure, effectively killing off the "dongle life" complaints. But, why do all this? If money is no object, get that MacBook Pro for the plane, and the iMac Pro for the office or home. But, for most of us, it is at least some consideration. True, getting both would also give you a spare Mac to use in case of problems and that's always recommended when this is how you earn your living. If you occasionally hire staff, it would be handy to have a powerful Mac to give them. You can talk yourself into spending a lot of money here but this isn't about making Apple's accountants even happier than they already are. It's about getting the absolute most for your money: it's about choosing where to spend your cash in order to get the maximum benefit for you and your business. The Mac you buy today is going to last you many years. So taking the time to think about what precisely you need and what you will actually use it for is the difference between getting a bargain and wasting your money on a toy. In certain circumstances, these two machines are now comparable and that makes this consideration a practical one. It's not entirely fair to call them comparable, though, because the iMac Pro can very easily — if very expensively — be made incomparable. Anecdotally, the 8-core entry model iMac Pro appears to be less popular than the 10-core, for instance, and it can go as high as 18-cores. The iMac Pro can also go as high as 128GB RAM if you're willing to spend an extra $2,400 to get it. The MacBook Pro 15-inch mid-2018 can go no higher than six cores and it has a hard limit of 32GB of RAM. So there are unquestionably very many cases where the power of the iMac Pro's higher configurations make it the better option. There are also cases where the portability of the MacBook Pro makes it the one for you. It's just that in this middle ground where you need a powerful Mac, the portable can very well be the better buy.